Parade Grand Marshals | Cape Verdean Recognition Committee Inc. The Cape Verdean Recognition Committee is proud to announce the 2016 Honorary Grand Marshal!! Mr. Bernardino Silva has been chosen as the Honorary Grand Marshal of the 44th annual Cape Verdean Recognition Parade, for his dedication to the Cape Verdean Veterans Community. Mr. Silva has participated in every parade since its inception and has led the Honor Guard and Flag raising ceremonies for many years. Bernardino Silva lovingly known as “Butch” was born in New Bedford, the son of Cape Verdean immigrants from Sao Nicolau. His maternal grandfather was the well known Whaling Captain Valentine Rosa. He graduated from New Bedford Vocational High School and Wentworth Institute. A veteran of the US Navy, Mr. Silva is a life member of the Cape Verdean American Veterans Association and the Disabled American Veterans. He is part of a small group of dedicated veterans and community folks trying to keep the Verdean Vets Hall open. This year they will celebrate their 70th anniversary. Mr. Silva is well known throughout the Cape Verdean community, having been a member of the Cape Verdean Ultramarine Band Club, Gaylords and the Bisca Tournament Club. He is a parishioner of the Our Lady of Assumption Church serving in many capacities since his early years as an altar boy. Up until a few years ago, he has coached youth in the CYO, Joseph Montes Park and Alfred J. Gomes School. In a recent interview, Mr. Silva stated “one of his missions was to insure all fallen comrades be given their proper honors.” The committee is proud to salute this Veteran. Throughout the Cape Verdean community in the Greater New Bedford Area Everisto “Victor” Fonseca is widely known and admired. Most people know that Victor is one of the greatest dancers in the area. However, fewer people fully appreciate the cultural significance of his dance contributions to the Cape Verdean community. While much of the dancing he does is not necessarily seen as being of Cape Verdean descent, the fact that he is so widely known and appreciated makes him a virtual icon in the community. Victor grew up in the Cape Verdean community of South Central New Bedford in the area now occupied by Gomes School and the highway. Although he no longer lives in that area, his Cape Verdean soul, in great part, is still attached there. 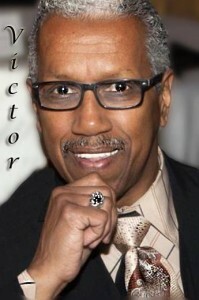 What we may remember as the sense of family and connectedness; the music and dancing; and the vibrance of our heritage so fundamental in our CV community then and there, is still very much alive and firmly displayed by Victor as he dances throughout the area. He carries his Cape Verdean soul everywhere he goes and in so much of what he does. Victor is so much more than a great dancer. He has volunteered at food pantries and other centers and has contributed much of his time and kindness to many fundraising efforts within the community. Victor attends and pays respect to so many with lots of love and time, words and hugs, cards and flowers and a visit to help bring a smile and laughter to those in pain from illness, bereavement, or losses of any and all kinds and always offers to help in any way. Victor is an icon, a community service volunteer, educator and an all-around generous contributor to the qualify of life for so many in our Cape Verdean community. The committee has chosen the Cape Verdean Whalers of the Charles W. Morgan to be the Honorary Grand Marshals of the 42nd Annual Cape Verdean Recognition Parade July 5, 2014. John Theophilo Gonsalves (1858-1928), Master, on the 37th voyage (9 September 1920 – 28 May 1921) the last voyage of the Morgan and the only known Cape Verdean to serve as Captain. The 37th and last voyage was an all Cape Verdean Crew led by a Cape Verdean Captain. The Charles W. Morgan, built and launched in New Bedford, Ma. in 1841 , is the last of an American whaling fleet that numbered over 2700 vessels. The Charles W. Morgan had more than 1600 whaleman of all races and nationalities. Her crew included not only Americans, but seamen from Cabo Verde and other Islands. The history of the Cape Verdean whalers is intricately tied to the roots of New Bedford whaling heritage. The Charles W. Morgan will make her 38th voyage to historic ports of New England this summer including New Bedford from June 28, 2014 – July 6, 2014. 561Purchase Street, New Bedford, MA. Mr. do Carmo is president of Carmo & Associates, Consultants, Real Estate, and Construction. He is a State Certified Project Manager for the construction of several new schools in New Bedford, namely the Roosevelt, Normandin, and Keith Middle Schools, Andrea McCoy Atheletic Field, and also Sea Lab. He received bachelor degrees from Fitchburg State College, the University of Massachusetts, and Roger Williams University and has continued to take classes on subjects of interest throughout his life. 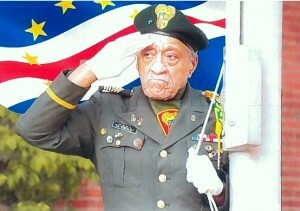 He served his country as a member of the U.S. Navy and the Air Force for 6 years during the Korean War. Denied the opportunity to become a military pilot due to segregation in the military, he took it upon himself while in the military, to become a private pilot and remains an active pilot to this day. Mr. do Carmo served as president of the New Bedford Chapter of the National Association for the Advancement of Colored People (NAACP) 1969-1974. During the height of the civil rights movement in New Bedford, he built the NAACP Community Building. He has been actively involved in numerous community activities, including being a founder of the Human Relations Commission. He was a State Committeeman for Cape Cod and the Islands for 4 years. He was the first Cape Verdean American to serve in the position of State Committeeman in the South Coast area. He firmly believes children are the future leaders of the world and only they will make the world a better place for mankind, if we mentor them wisely. Frank “Chico” Monteiro was a well-known musician in this area, who played with the Duke Oliver Band, the Al Lopes Band, and the Cape Verdean Ultramarine Marching Band and had been especially noted as the band leader of the Skyliners Orchestra. Frank also supported the music community as President of the American Federation of Musicians Local 214 for many years. He was a leader of the Cape Verdean community who served as past Presidents of the Cape Verdean Action Committee and The Cape Verdean Ultramarine Band Club. He was honored this past summer in 2010 as the Grand Marshall of the Cape Verdean Recognition Parade an honor only bestowed on the most important leaders of the Cape Verdean community! As a leader of the community of the City of New Bedford, he served as former New Bedford Airport Commissioner, and former Vice Chairman of the New Bedford Senior Advisory Board. As a true American citizen, Frank served his country proudly during World War II as a musician in the U.S. Army with the 173rd Army Ground Forces Band.